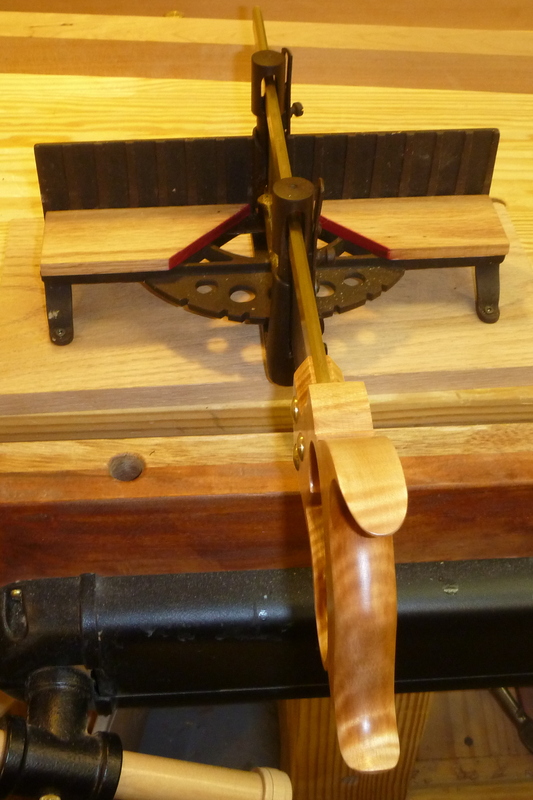 I just finished restoring an old Millers Falls Langdon #16 1/2 miter box. Not sure of its age, but I am guessing the nineteen teens or twenties? I stripped the rust and grease and repainted and lubricated it. I also added new oak sacrificial table tops. The sacrificial wood table tops that I removed were some sort of fiber board that I assume was not original. It was in very bad shape. I forgot to take “before” photos as usual, so here are some “after” photos. 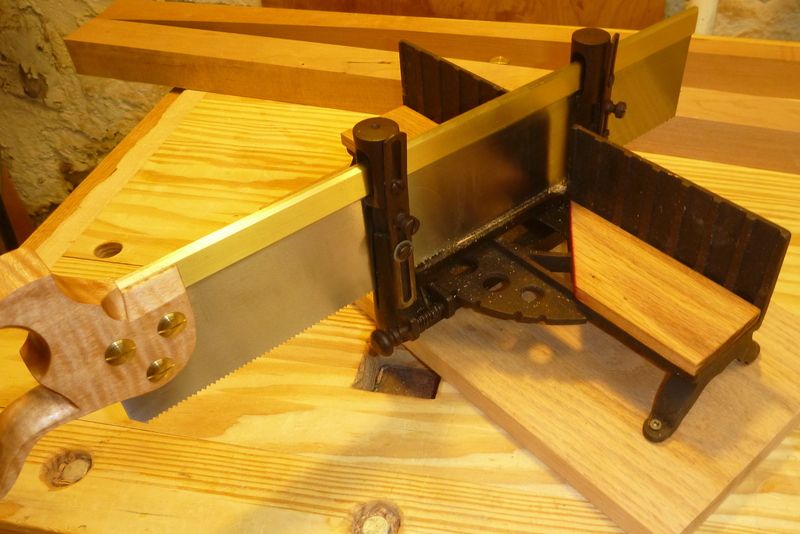 The miter box’s original saw was beyond repair, so I asked Lie-Nielsen to make me a new one. They will now make replacement miter box saws to your specifications. Only took about three weeks and the saw looks and cuts beautifully. I asked them to make my saw with a 16″ blade length and 2 3/8″ high. It is cut to 11 ppi crosscut. An old Millers Falls catalog from the period says lists the original saw as only 2″ high, but I did not find that reference until after I had ordered the saw. The 2 3/8″ high plate that I ordered seems to work fine, though. Looks as good as new or better, with its new saw. I think that it will see a lot of use in the shop. Posted on October 26, 2010, in Tools and Shop, Woodworking. Bookmark the permalink. 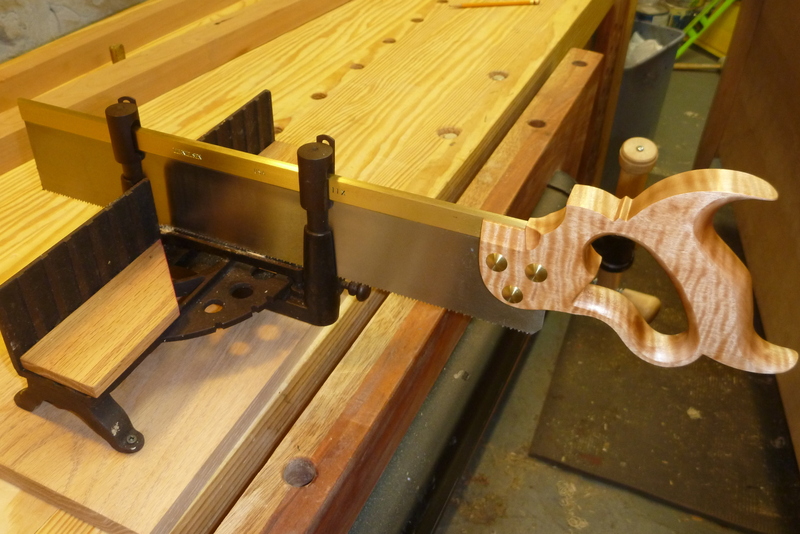 Comments Off on Langdon Millers Falls #16 1/2 Miter Box Restoration.